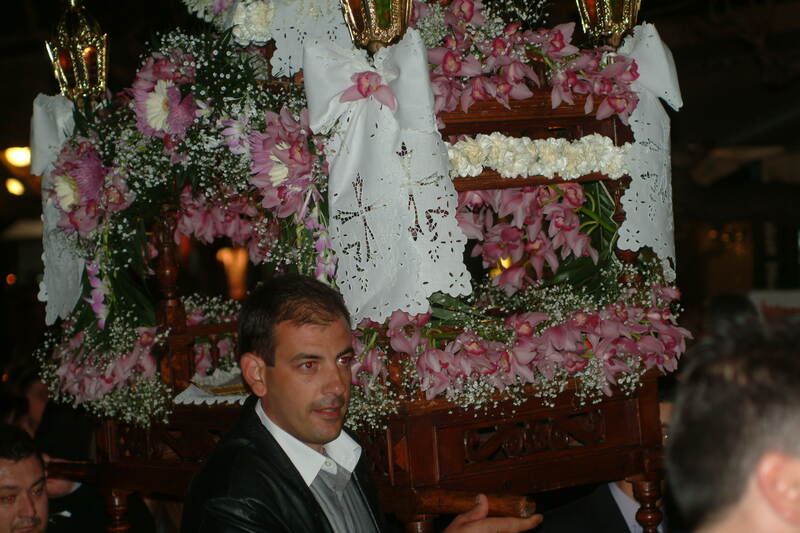 On Skopelos Greek orthodox Easter is celebrated in the church and mainly at people’s country home’s (kalivis) on Sunday. 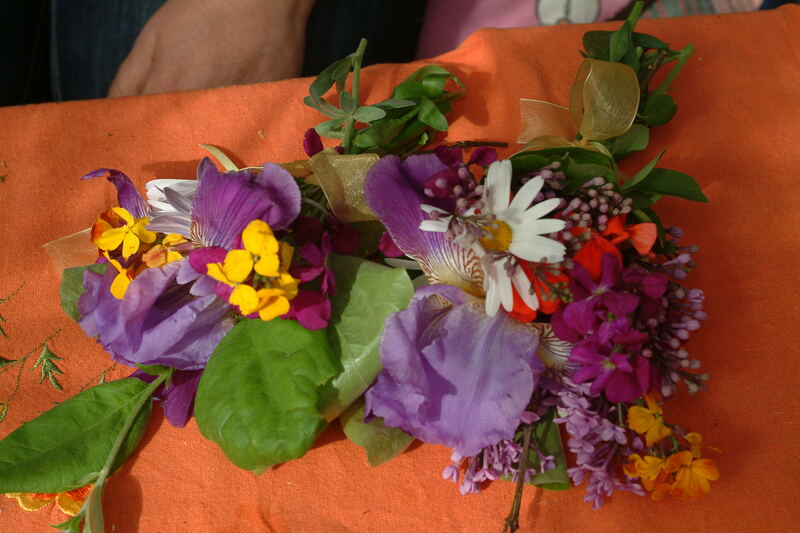 Through out the week there are church ceremonies that can last many hours. On Thursday morning the service commemorates the Last Supper and the Betrayal of Christ. 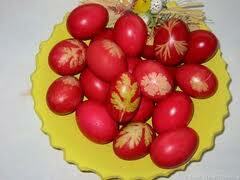 This is the day that the hard-boiled eggs are dyed red, signifying the blood of Christ, and the Easter bread, called tsoureki, is baked. 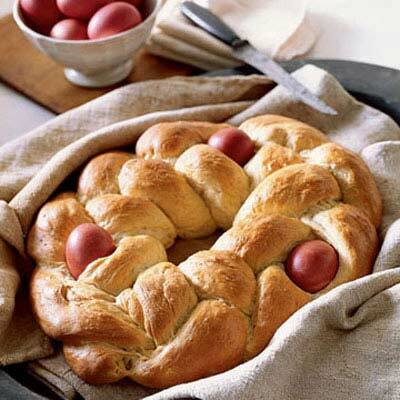 The easter bread can be bought in all the bakeries. On easter Sunday people rap their eggs against their friends’ eggs and the owner of the last uncracked egg is considered lucky. The Thursday evening service is a long one and features twelve gospel readings. It is in this service that a two-dimensional figure of Christ on the cross is brought into the church and set up, while the church bells ring. In some places a vigil is kept in the church all night. 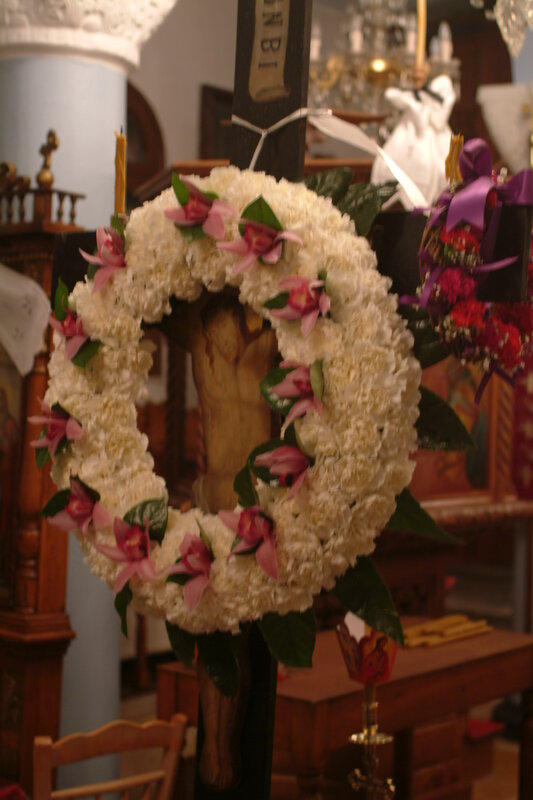 Good Friday – Megali Paraskevi Throughout Greece, Good Friday is known as the day of mourning. It is the only day of the year that the Divine Liturgy will not be celebrated. 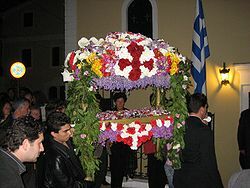 In the evening, after 21.00 hours, all churches in all Greece start the Ceremony of Epitaphio (it is like an altar, the funeral bier) The Epitaphio is taken out of the church and carried by men through the village with a slow procession of priests and altar boys carrying gold crosses and icons. After that the mayor, head of police and fire brigade follow and after that the church congregation follows, holding lit candles symbolizing the mourners. The chants are sad and solemn and the church bells will ring slow and rhythmically as they do when signaling a funeral. In cities, towns and villages with more than one church the Epitaphios parades may join together at certain points. It is like this on Skopelos were 4 churches have an Epitaphio. The first church (Christos church) will start and walks to the Agios Jannis church were one follows the other, the next church is Papameletiou and the last one is Faneromeni. 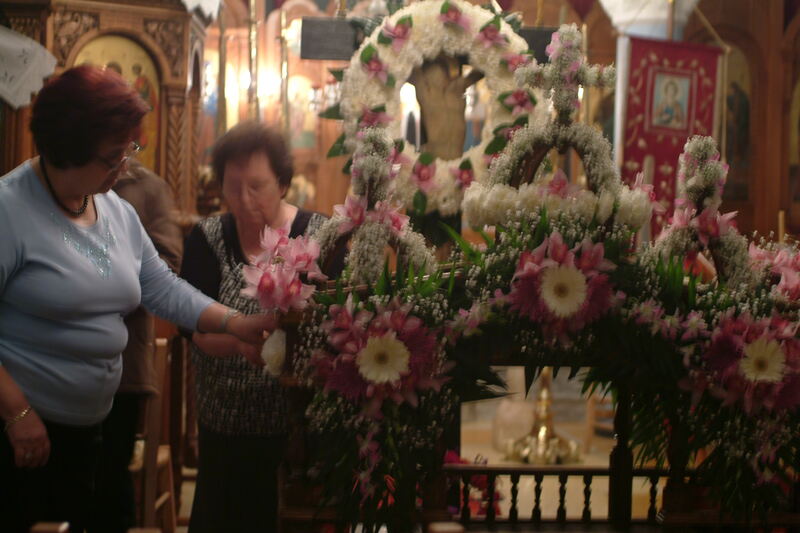 Everybody goes to the harbor where the Epitaphios are admired and each one returns to their own church. 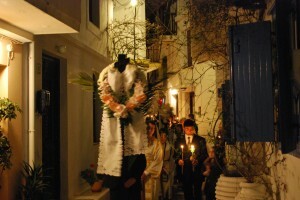 On Skopelos the Epitaphio is decorated on Thursday night after 12. Women come together in the churches en together they think about how it should be decorated. 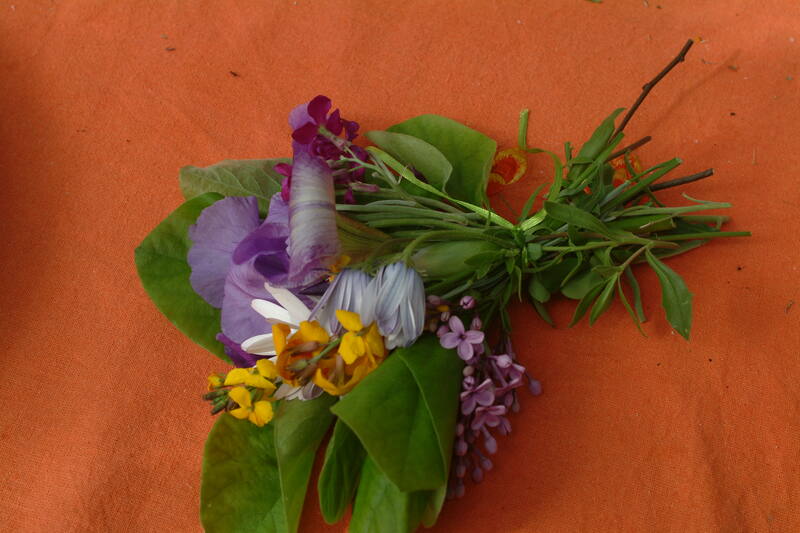 Every church has different flowers. The decorating lasts several hours. The decoration is almost like a competition; who makes the most beautiful one ? At 23.00 hours on Saturday night, pretty much the entire country is in church. The lights are turned off at midnight and the priest announces that Christ has arisen from the dead as candles are lit from his and then from each other. The tiny glow at the front of the church grows and soon the whole church and the square outside are illuminated by the light of everyone’s candles. At the stroke of midnight the priest intones the paschal hymn “Christ has risen from the dead etc. The church bells ring in celebration, fireworks go off, and the ships sound their sirens. People greet each other happily with the words Christos Anesti (Christ has arisen) which is replied to with Alithos Anesti (Truly He has arisen). The next couple of days when you see somebody this greeting will be repeated. It is polite to do so. After the ceremony almost everyone heads for home with their lighted candles (be sure they stay lighted) where they let the flame of the candle go over the top of the door 3 times making a cross. This is like a blessing for the house and those who live in it. Most people either stay home or go to a restaurant for the traditional bowl of margeritsa, a thick green soup made from the intestines of the lamb that will be roasted the next day, breaking their 40 day fast which began with the end of Carnival/Apokreas. Gunshots, dynamite and fireworks will be going off for the next 24 hours. It is 00.30 hours on Thursday night. I am in bed but I need to get up. 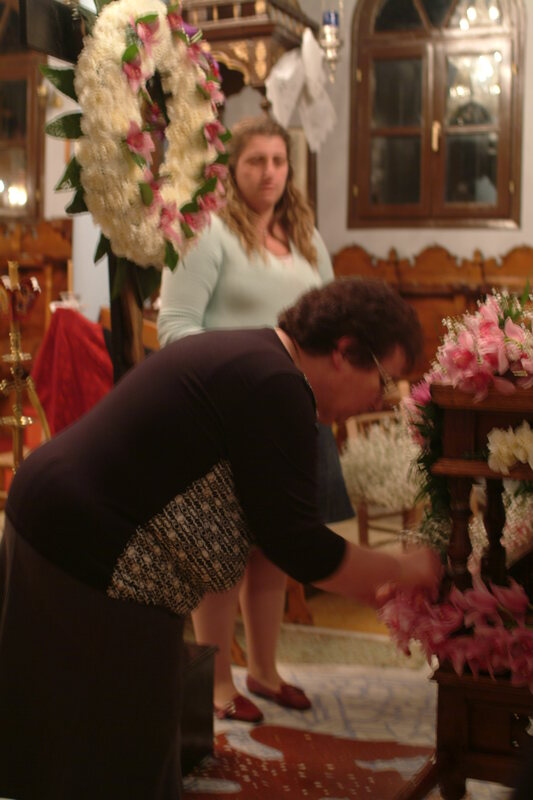 I have made a promise to myself to go to the Pandelemon church and watch the women there decorate the “Epitafio”. I finally make it and arrive. I still feel nervous entering a church, afraid to do something wrong. Like a stranger. That is untill they call my name and greet me. The bier is already half-full with flowers but there is still a lot to do. 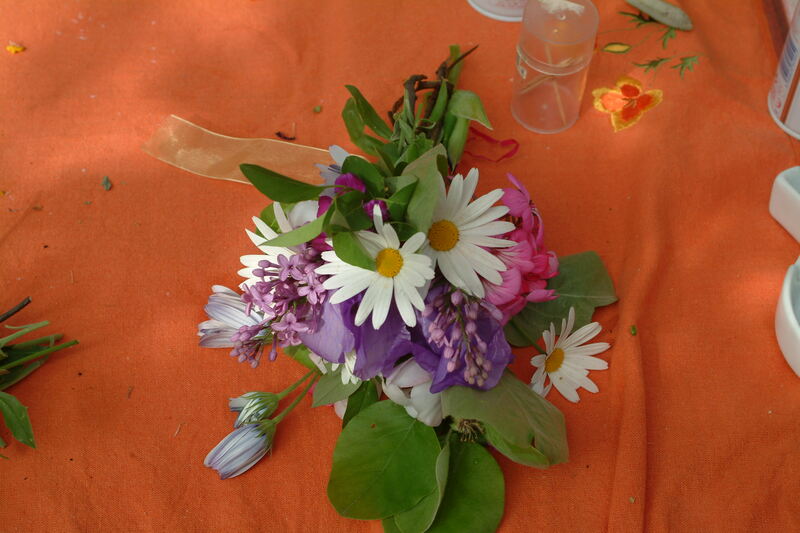 As the hours pass I pick up flowers and give them to the lady who decorates. The older ladies around make comments and gossip. We eat nuts and drink an almond drink because everybody fasts. I am glad I have come. Last year was the first time i came and I loved the way these women slowly and with a lot of love make this piece of wood a beautiful altar with many flowers. From picking up scissors and passing along wire I end up putting flowers on the bier and at 03.30 hours our small group finishes together the decorating. The bier from the Pandelemon church can be seen below here. It was beautiful!!!! The 1st of May. A day with many meanings and symbolism. 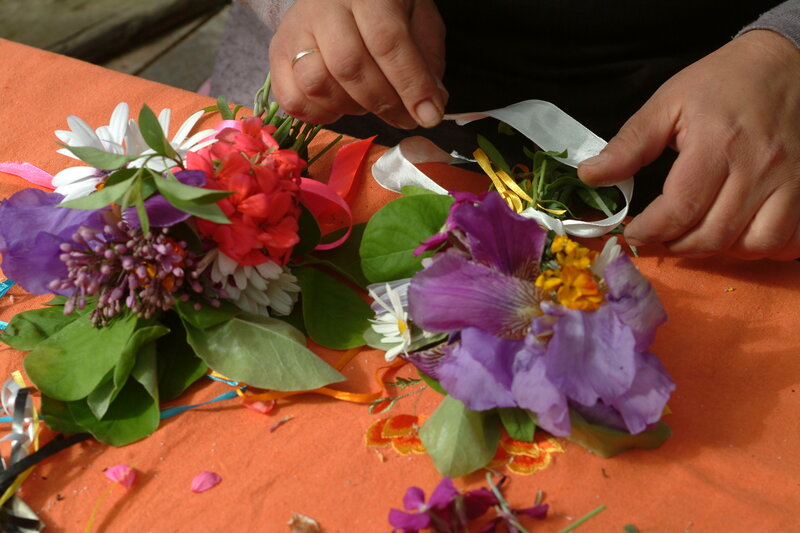 A lot of people on Skopelos will gather at their kalivis (farmhouses) and eat, drink, sing and dance together and make wreaths that will be hung above doors and attached to cars and motorbikes. The day started with a slight drizzle but by the time the bbq was ready and the guests had arrived the sun came out. A perfect day, not all the flowers were blooming and therefore could not be picked, maybe because it has been raining quite a bit. Spring is in the air though.